After a couple of month with ordering from sites all over I finally got my new quad put together (somewhat). Diatone White Sheep Frame with PDB & DJI Arms. 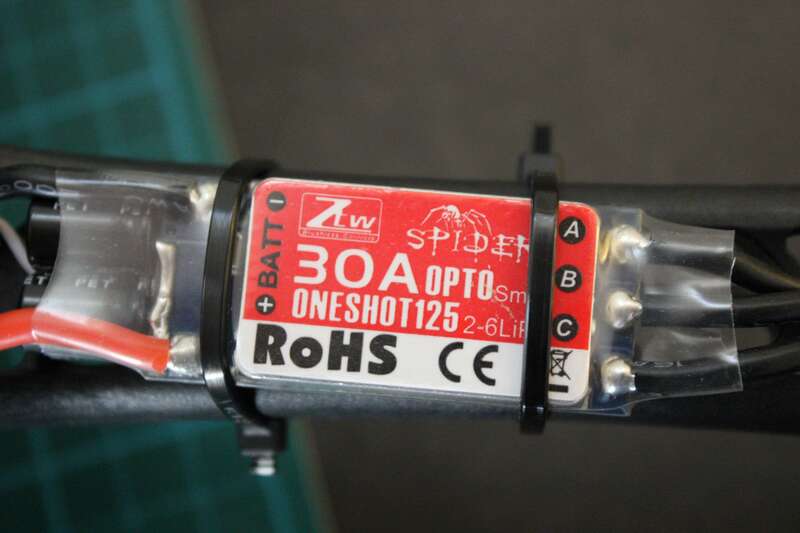 ZTF Spider 30A Opto ESC's. 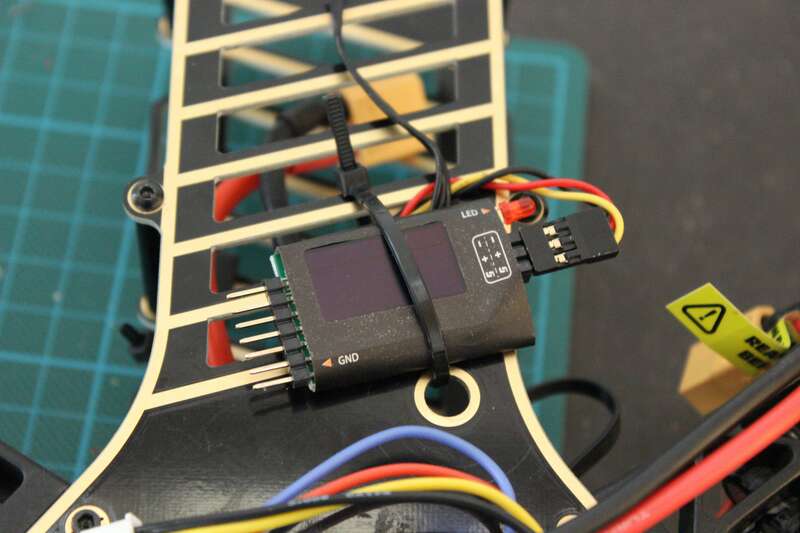 Tarot ZYX-M Flight controller with PMU and GPS. Multistar 3S 5200 Mah 10C battery. Flight time is around 14 min. Putting the frame together was quite quick and painless. The only problem I had was the motor leads came with a different bullet connector than I had expected, so I had to solder new bullet to them as well as to the ESC's. The Tarot ZYX-M Flight controller is awesome and compares well to the DJI Naza. Better in some ways. Channel mapping and calibration was a breeze and the GPS Hold on it are truly amazing. As it's my first quad I haven't really explored the manuel flight mode yet, but Atti and GPS mode are on point. Here are some pictures of the quad is it stands now. Gimbal and VTX are inbound so some things are mounted temporarily. I just received the FrSky Lipo voltage telemetry module and wanted to test it out, so for now it's just zip tied to the frame. These small ESC's are a perfect fit under the arms of the quad. I originally ordered some EMAX ESC's, but they came with BEC. So instead of having to remove the positive from the connection I choose the easy way and ordered some OPTO instead. Feel free to ask any question you might have and I will try to answer as best I can. Nice build LaDK! I have a TBS Discovery build that is very similar. I have the same motors with 30a ESCs and a 5200mAh battery, but mine is 4s. I was really looking into the Tarot zyx-m to be my flight controller, but I decided to get a pixfalcon last minute. Good to see a build that does use the tarot so I can see what could have been. Got any flight videos? 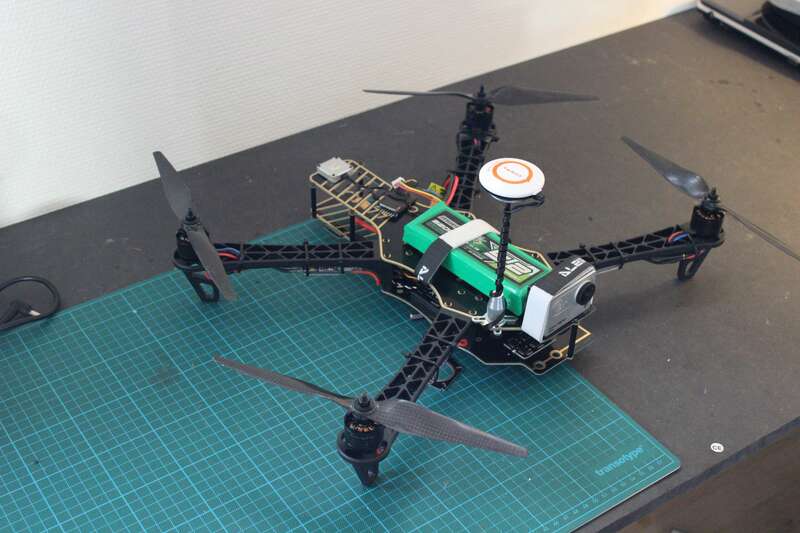 I would love to see it flying and how good the GPS functions are. Yeah, I was looking at the Pixfalcon/Pixhawk series as well. I've been looking at a lot of flight controllers actually, but they were either to expensive or to advanced. 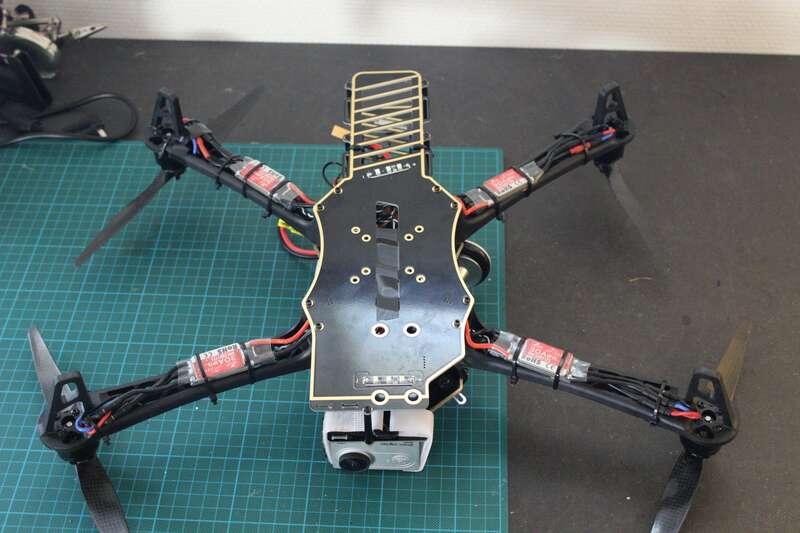 As I said it is my first quad so I wanted something with a lot of functions but not to complicated. They Tarot seemed like an obvious choice with the same features as a Naza but under half the price. My first flight video is rendering now, so should be up in a couple of hours. Looking good, and what a view! Seems to be stable and also has some good speed to it.